Maguire v. City of Providence, a case from the Rhode Island Supreme Court, involved plaintiff who was disabled and walking with a crutch when the crutch got stuck in a hole in the sidewalk pavement. This caused her to lose her balance and fall onto the sidewalk. She suffered various personal injuries as a result of this fall. The sidewalk where she fell was in front of land owned by a developer and leased by a retail store and a restaurant. Plaintiff filed a civil negligence action against retail store, restaurant, and the city of Providence treasurer. The complaint included state negligence claims and federal disability claims. As our Boston fall injury attorneys understand, in many cases it is possible that more than one party may be responsible for a victim’s injuries, and it is important to explore liability with respect to all potential tortfeasors to maximize plaintiff’s opportunity to receive a full and fair financial recovery. In the complaint, plaintiff alleged city was negligent in failing to maintain the sidewalk in a safe fashion, and both businesses were negligent for not making sure the sidewalk in front of the respective business was in a safe condition. The plaintiff did not assert any of the three defendants was responsible for creating the dangerous condition. 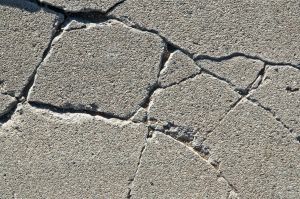 Restaurant and retail store filed motions for summary judgment in which they alleged that they should not be held liable for the condition of a city sidewalk. They also argued that landlord, if anyone, and not the tenants, would be responsible for the condition of the sidewalk. They also argued that, since they were not responsible for the condition of the sidewalk, the disability claims were irrelevant. Trial judge granted both motions for summary judgment/ and the case was dismissed against these two defendants. Plaintiff appealed these dismissals to the court of appeals. On appeal, the court looked at the issue of whether either defendant owed a duty of care to plaintiff with respect to the condition of the sidewalk in front of the their respective establishments. First, the court noted that it does not prefer negligence claims to be dismissed on summary judgment, as adjudication on the merits is preferred, but nonetheless determined this was a question of law and addressed the issue. The court looked at a long history of cases that hold a property owner not liable for the condition of a public sidewalk in front of their property. The court concluded that the property owner has no control over the condition of the sidewalk and does not perform maintenance on the sidewalk; therefore, it would be unreasonable to hold the property owner liable for any dangerous condition on the sidewalk. It should be noted that this applies to the physical condition of the sidewalk itself. However, in the Commonwealth of Massachusetts, while a property owner is not required to repair a hole in the sidewalk, he or she may be responsible for making sure it is cleared of dangerous ice and snow in a reasonable time following a storm and may be liable for a slip and fall accident caused by failure to clean the sidewalk.